On this page, you will find the best workwear with electrostatic properties. MASCOT is best known for classic work clothing, but with the MULTISAFE collection, they have become a top manufacturer of safety workwear. Clothing with electrostatic properties is certified to the EN 1149-3/5 norm. This category at MASCOTwebshop.co.uk exclusively offers safety workwear with electrostatic properties. If you work for a company or in a business where clothing with electrostatic properties is necessary, you do not have to look any further. You will find bib & braces, overalls, work trousers, work jackets, underwear and much more with electrostatic properties right here. MASCOT is behind all of these products, which is your guarantee of high quality safety workwear. Once you have chosen your work clothing with electrostatic properties, we recommend that you buy safety shoes or safety boots that are antistatically approved as well. ESD safety footwear is of course available here at MASCOTwebshop.co.uk. Numerous people worldwide choose workwear with electrostatic properties from MASCOT due to its excellent comfort, fit and design. You will not be able to find better safety workwear, and we guarantee that all workwear in this category is thoroughly tested. MASCOT never compromises with the motto – TESTED TO WORK. 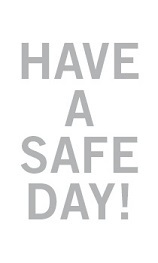 The best safety products can always be found right here at MASCOTwebshop.co.uk.